Annnnnnd the crowd goes WILD! The crowd being me because I’ve finished Hail Mary and I think I’m having some pretty big feelings for this book. 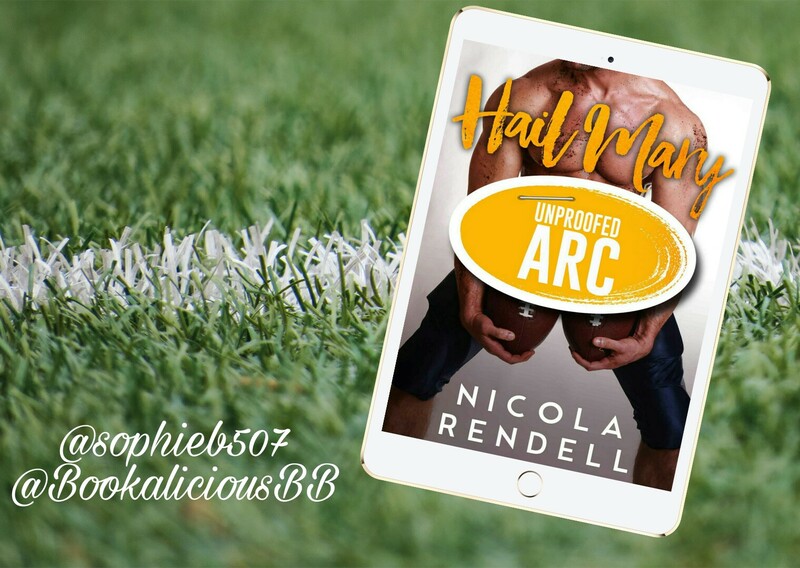 Nicola Rendell has once again taken romance and BLOWN IT UP. She has once again put a spin on everything we know and love and made it better. More intense. More passionate. Just MORE. Nicola is an enigma. I have no idea where she sprung from back when she released Professed but HOLY WOW this woman is a writing goddess and I’ll happily bathe in all her wordy magic. Nicola is a true diamond and story telling GENIUS. I honestly don’t have enough praise for the woman. She gets it ALL. I instantly fell in love with Hail Mary. It immediately became one of my top reads of 2016 and I COULD NOT put it down. It infiltrated itself so bloody deep. From the indestructible sexual tension that just BLEEDS from this book, to the breathtaking romance, to the devastation that pulled at my heartstrings, I was 100% IN. Nothing was going to stop me devouring this book. Even Frankie Knuckles has wedged himself into my heart. Jimmy Falconi, ruthless, raw and powerful but so damn passionate and beautiful. The man made me all tingly. He sent my emotions CRAZY. I was ALL over this beautiful specimen. He rendered me speechless, left me breathless and made my heart skip a beat. And Mary. OMG! High five Nicola Rendell. You wrote one amazing, sassy heroine that I would LOVE to be besties with. From beginning to end Hail Mary oozed beauty and passion. Five stars just doesn’t cut it.. this was the touchdown of all touchdowns!! To the reader: Sweet. Safe. HEA. This is a comedy that gets very dirty, so be advised. Other tasters’ notes: Hints of honey and champagne. And a feisty little dog named Frankie Knuckles.